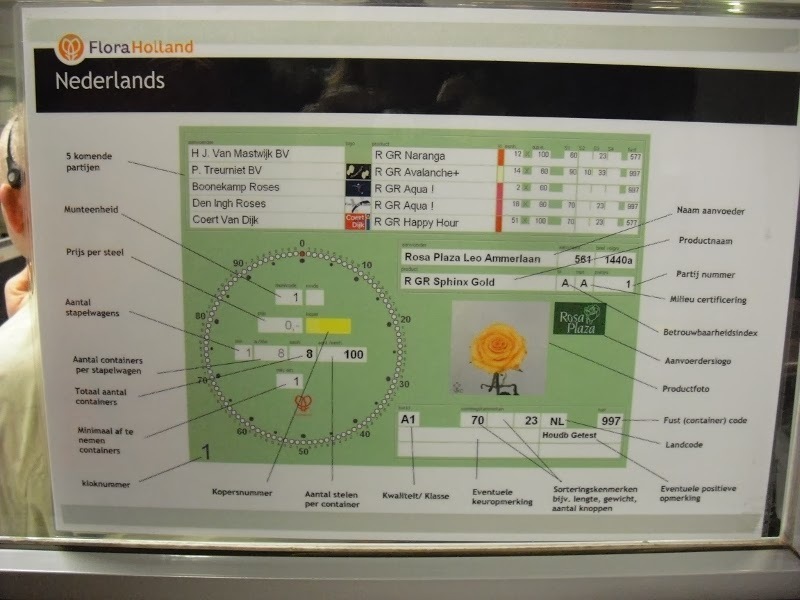 Continuing from last week's post about Keukenhof: let's explore more of this beautiful part of the world in springtime. Some images are in the Netherlands and Amsterdam, and there are a few from romantic Brugge (or Bruges), Belgium. Let's go! 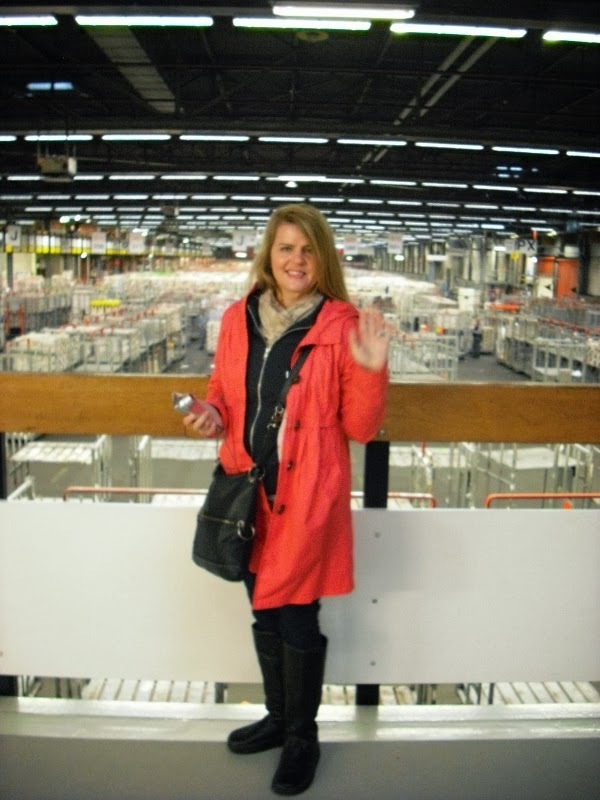 First up is an adventure at a place called Catharina Hoeve. 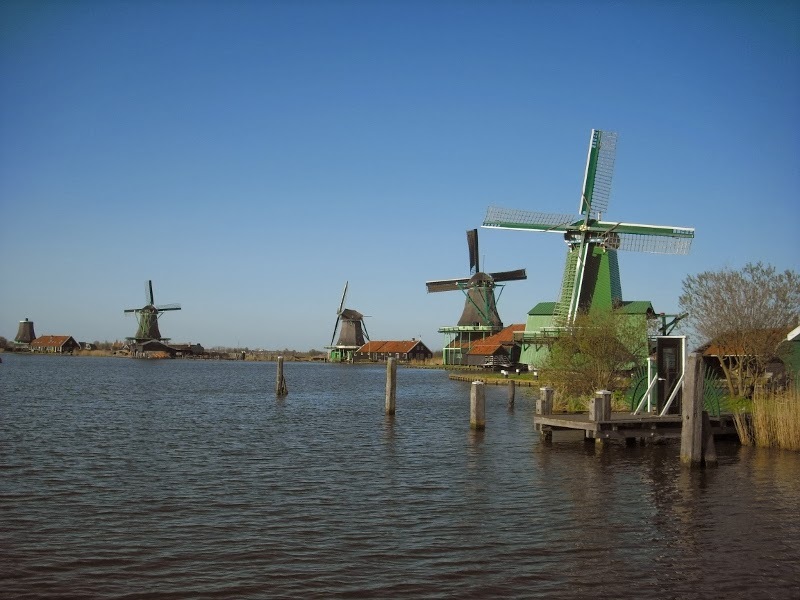 From what I understand, it's basically a cheese farm and an authentic Dutch village with specific architecture and colors of the area. 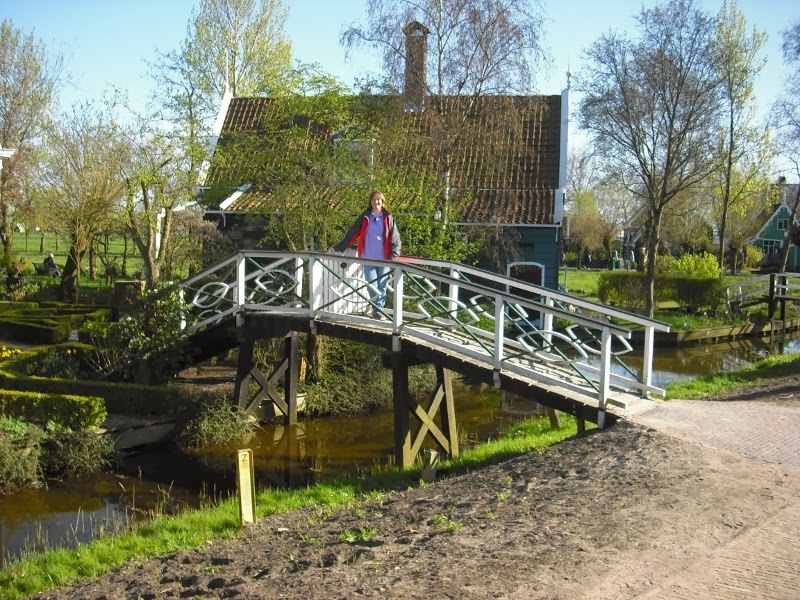 The Dutch love their little bridges. 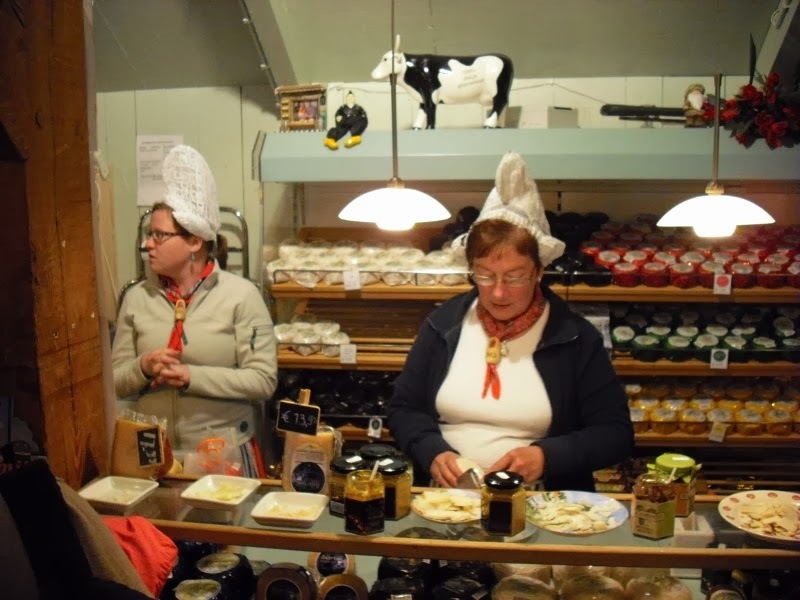 Our friend Stella leads us to the cheese store. We bought some gouda, but it was so strong and fresh it was kind of hard to eat. Not really, we loved it and ate it in great quantity. I wish I had some right now. Cheese. Mmmm. Mmmmm....gouda. Our friends refer to their country as "Cheeseland". It is, lucky friends! It is! Paths ramble along the canals towards the windmills. More homes and canals. Such pretty gardens. This color combination was special to the area, the bright kelly green and black-and-white trim is very smart looking. I took a liking to this sheep. Not sure why she was in a punishment collar, but she was friendly enough. As she said, "Ewe!" Our first morning in the Netherlands, our friends woke us up at 4 am to go see some flowers. What? I mean I love flowers and all...but seriously? Seriously. 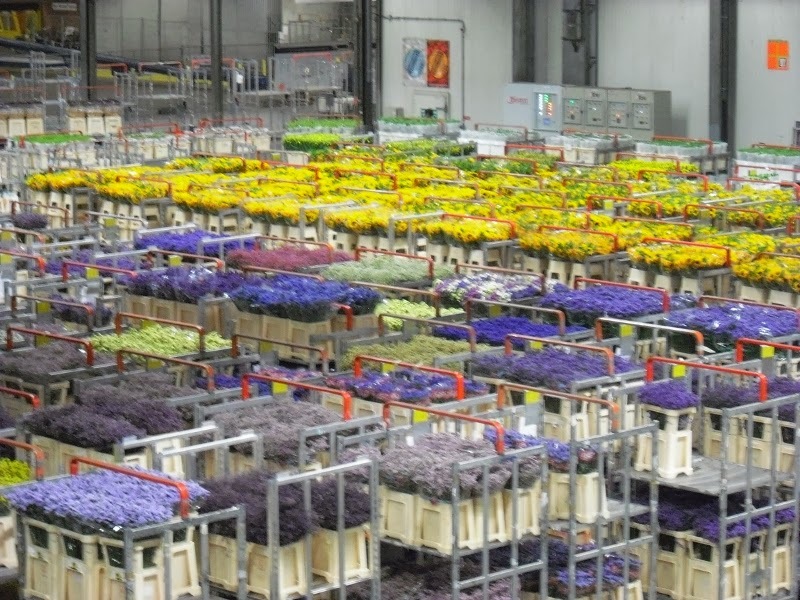 This is why: the Aalsmeer Flower Auction, the largest flower auction in the world. They start early so if we wanted to see the auction action, we had to start early. You know? It was totally worth seeing and probably the best smelling auction anywhere! Hopefully you can make out the size of this building in this photo - the building is the largest in the world by footprint, 243 acres. Yes, acres. I'm not kidding. How many football fields is that? 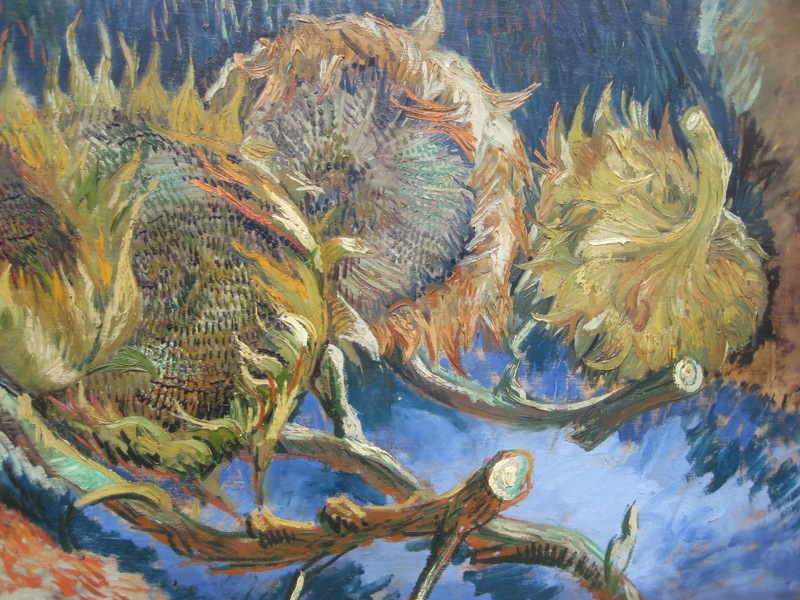 This is an explanation of what the bidders are looking at. It is unbelievable, and something like 20 million flowers pass through this place every day. 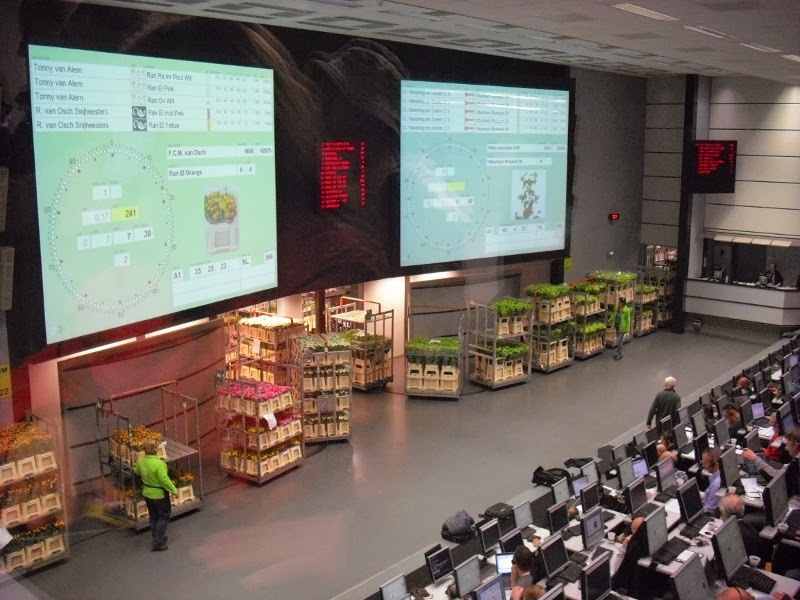 Highest bidder in the giant bidding arena purchases flowers that are paraded in front of them on carts like floral sushi trains (which don't stop, they keep moving! Bid fast!). They are then immediately driven by little trucks to the winning party's loading area, then they loaded on to an awaiting airplane to be shipped around the globe - all of this happens in a matter of minutes. Oh, and did you notice that there are two screens? There are, in each of several arenas like this, two auctions happening simultaneously. That's a LOT of flowers. 20 million a day! Yowsers! Look at all those boxes of whatever that flower is. So many colors. So huge. 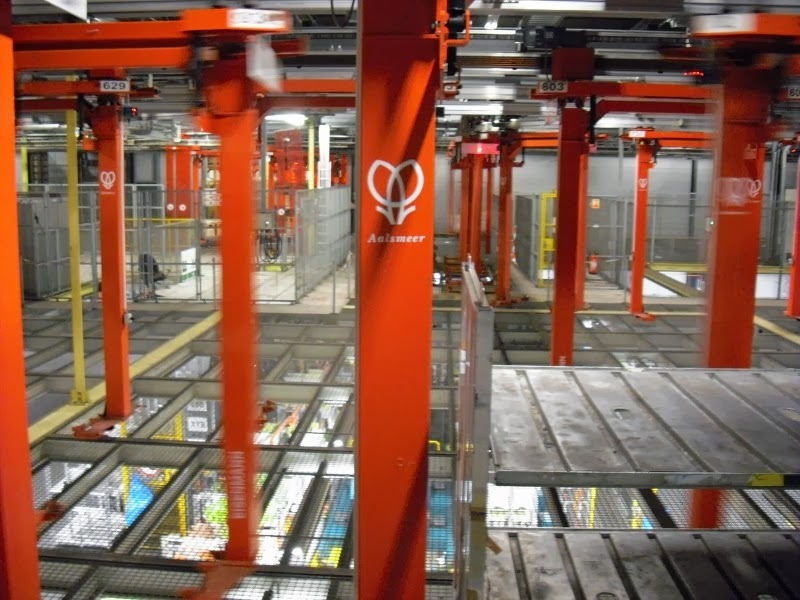 The racks are moved about by little tractors. While it looks like a madhouse, it is very organized and impressive. These flowers are purchased and put on to airplanes awaiting them just outside within minutes of arriving at the auction. The whole operation is in super fast overdrive because, well, they're alive and you want them to get to their eventual markets a.s.a.p. In my opinion, however, if you REALLY want fresh flowers, support your local flower growers and gardeners. Just sayin'. Near the sea coast. Once was a river port but the river silted up some 500 years ago and now it is a beautiful town ringed by water and very romantic. Our friends went with us and spent a few hours with us but then they headed back to the Netherlands and we were on our own for a few quiet days in Brugge. The farmer's market in the center of town. Nice office, don't you agree? 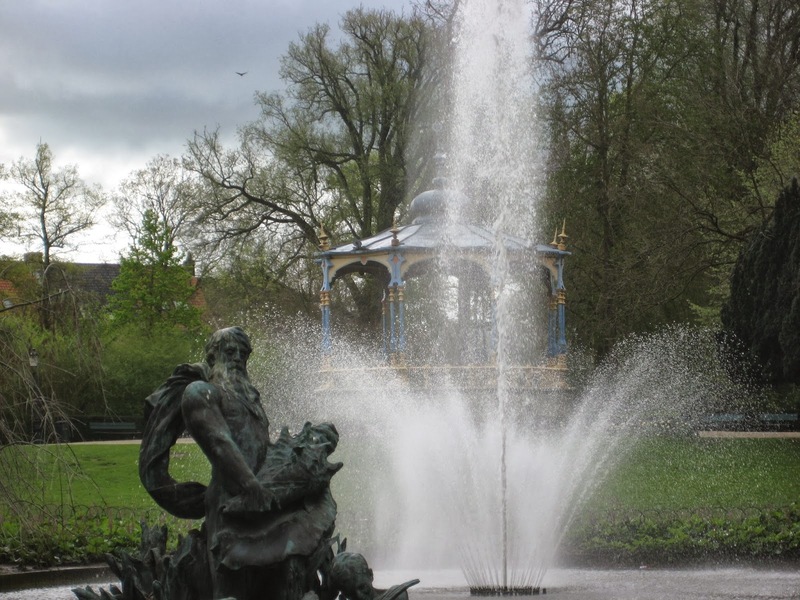 One of the many garden green spaces in Brugge. Every corner and every view is post-card perfect. Sigh. When are we returning to Brugge? 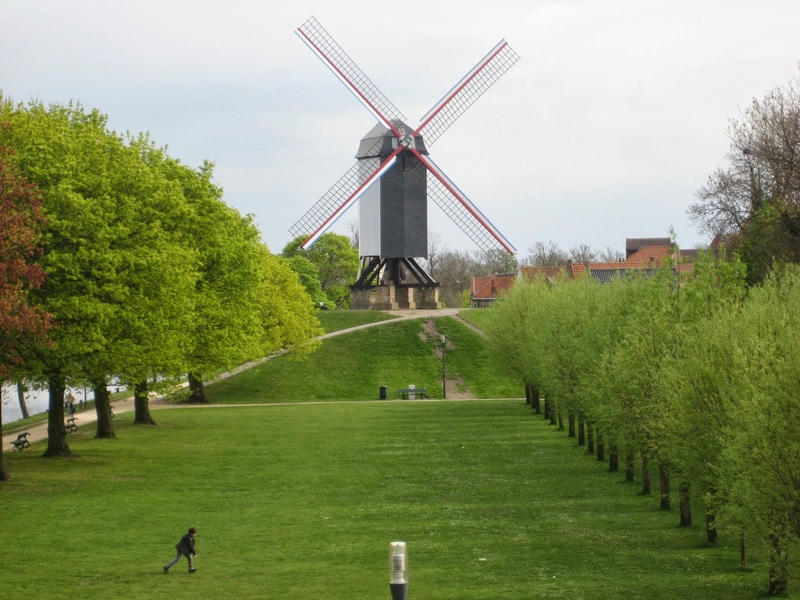 Windmills in Belgium, too. 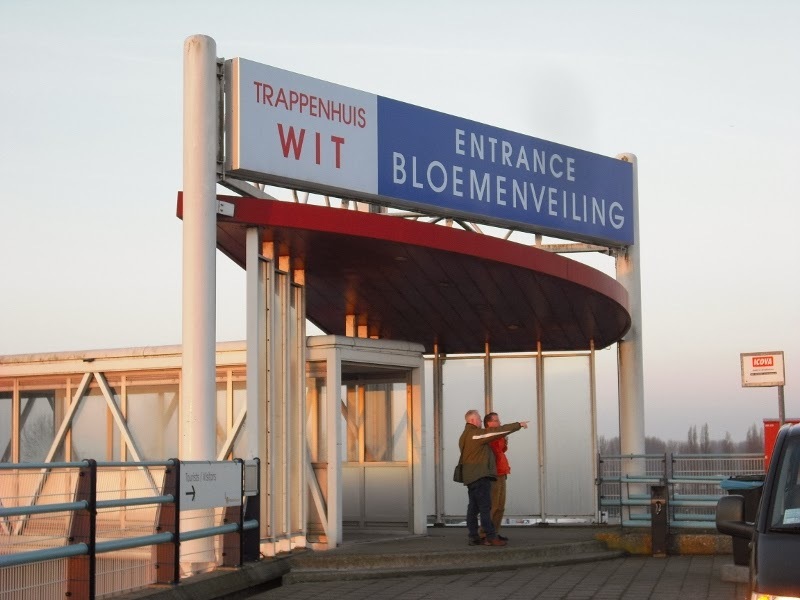 The whole corner of NW Europe, also known as Flanders, is quite flat. Nice vine coverage on this brewery. How romantic is this? Even if you live on a canal, it's possible to have gardens. They love their gardens. 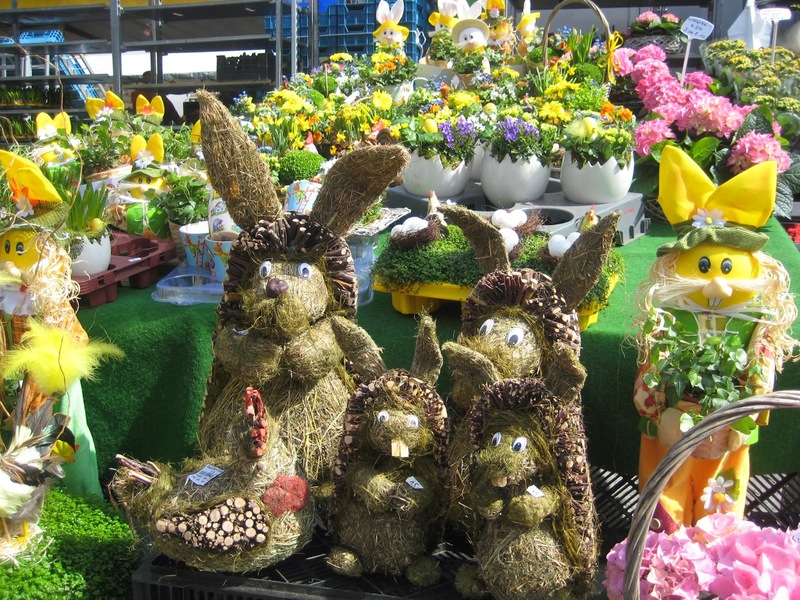 they love Easter here, a lot - it's a pretty big holiday. Tulips from Aalsmeer, perhaps! I would not be surprised. 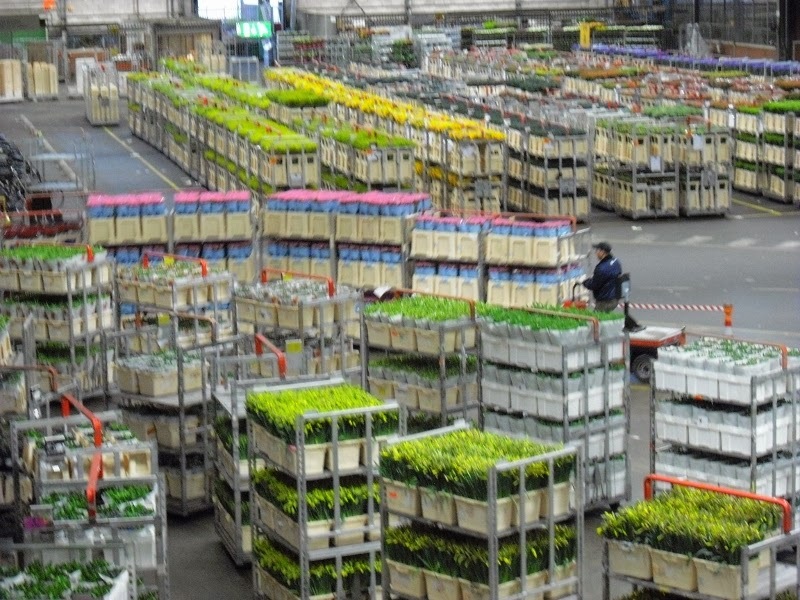 After all, some 90% of flowers sold worldwide come out of Aalsmeer. Another market in Amsterdam. So lovely. How's that for a price? 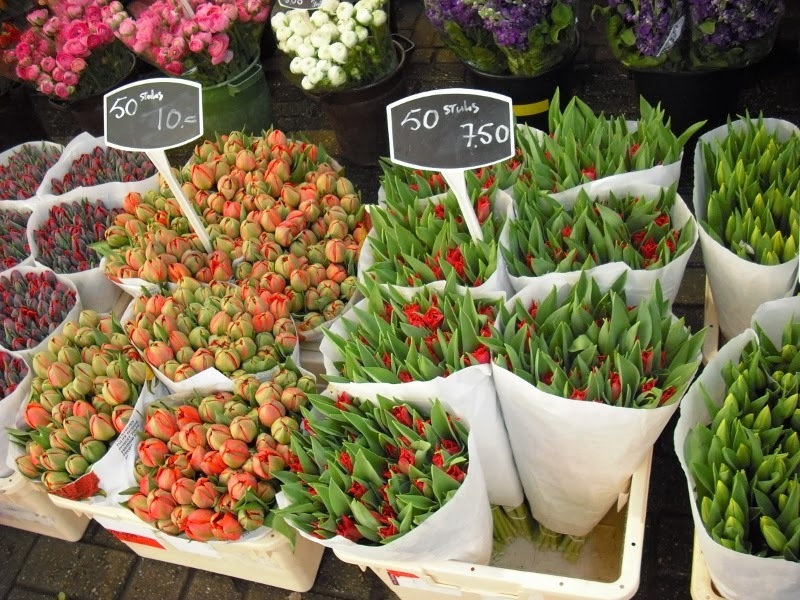 50 tulips for 7 Euros 50. I'll take two! 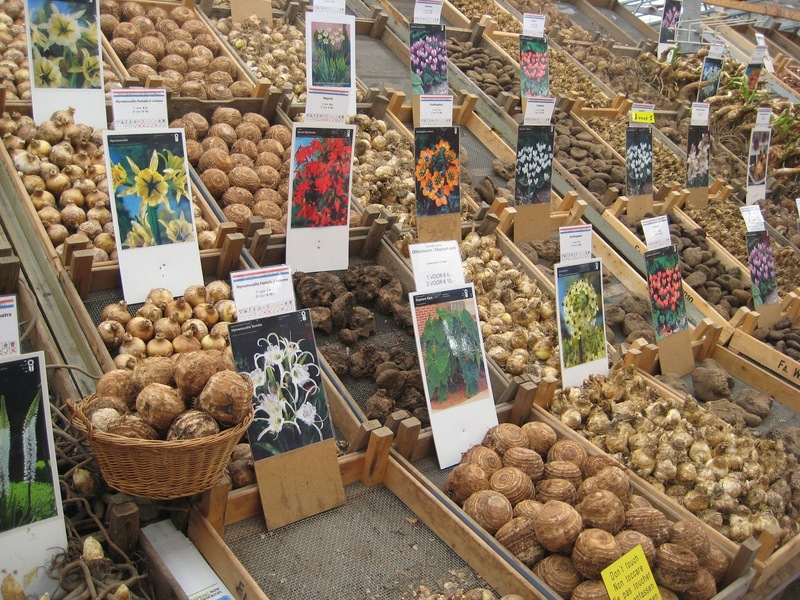 Of course along with the flower stalls, there are bulb stalls. as they say in the Netherlands, dank u en tot ziens! Thank you for visiting the Netherlands and Belgium with us! 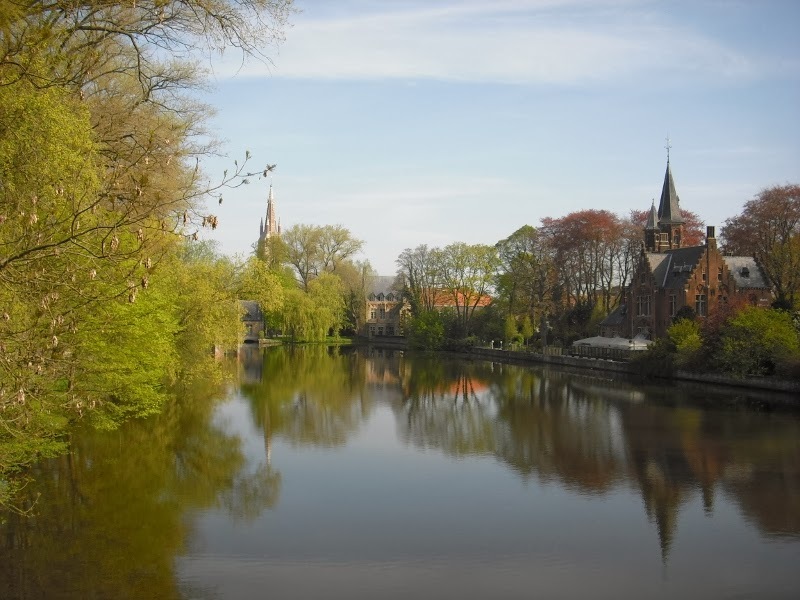 You made a magnificent post about our country and Brugge, such a romantic place to visit. Hi Janneke, thank you so much, I was honored to do so! I love your country and people, I only hoped to do it justice...such wonderful memories. Thanks for reading! 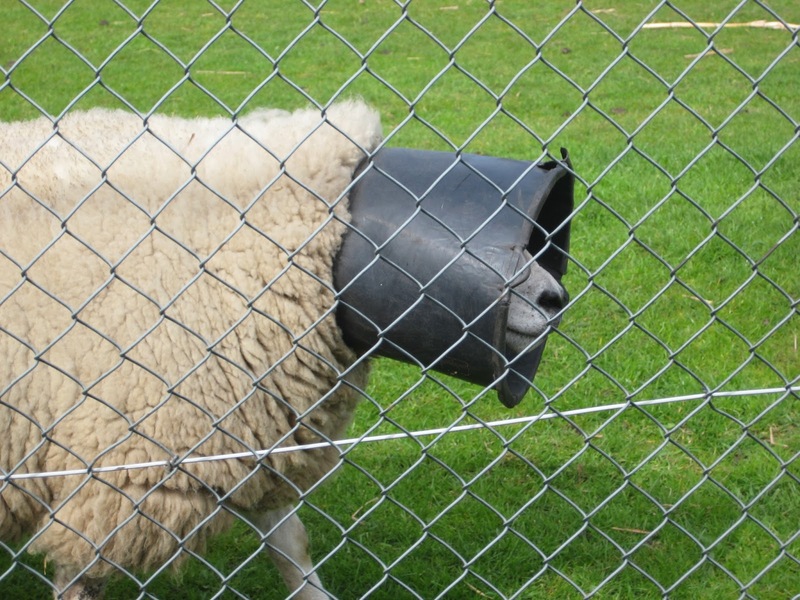 That poor ewe, she looks like she's wearing a nursery pot. I bet she is the life of the party. I love the pictures of Brugge, the vine-covered buildings and canals. So peaceful. Fascinating peek at a part of the world we seldom see. Now I am wondering why not. It seems to have everything to make it a tourist destination. It IS a fabulous place to visit! The people are super friendly, intelligent and gorgeous, the food is wonderful and the landscapes the stuff dreams are made of. A destination for sure. If you EVER get a chance to see Brugge, it's a must-see. Perfectly preserved medieval town. Wow, what an amazing journey. Thank you for sharing it with us. That flower auction is baffling! The "Bulb Stall" would have me salivating. Did you buy any? Can they be brought into America?